While Jesse was busying crushing Vineman Monte Rio (full recap up tomorrow), I set out to complete my own feat of endurance: the 16 mile-run. To me, 16 miles is the last long run before marathon training really becomes ridiculous. After Jamie came down with the flu, I set out for the run solo on Sunday morning. Instead of the course previous like we had planned to run together, I ran a portion of the race and ran back home. I started out around 8:15am to take advantage of the gorgeous morning light and sparsely populated tourist favorites. 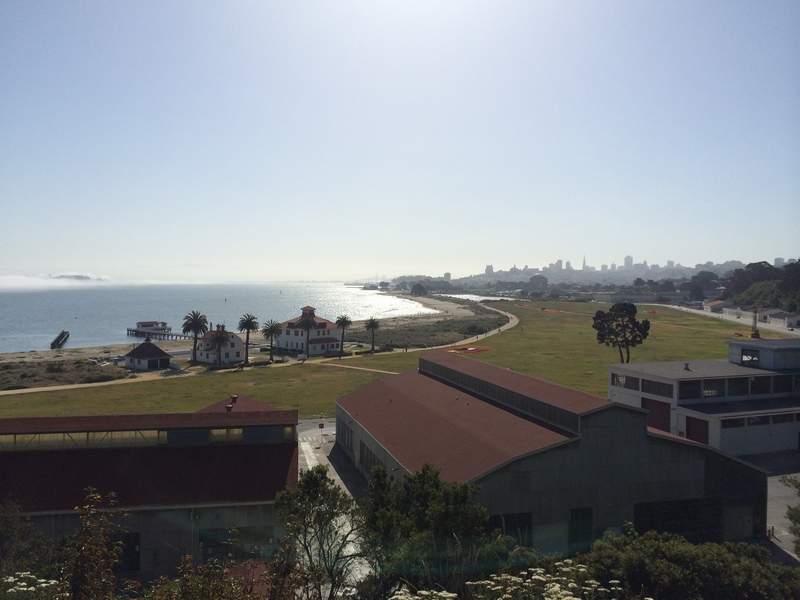 View from Lincoln Boulevard above Chrissy Field and before the bridge. 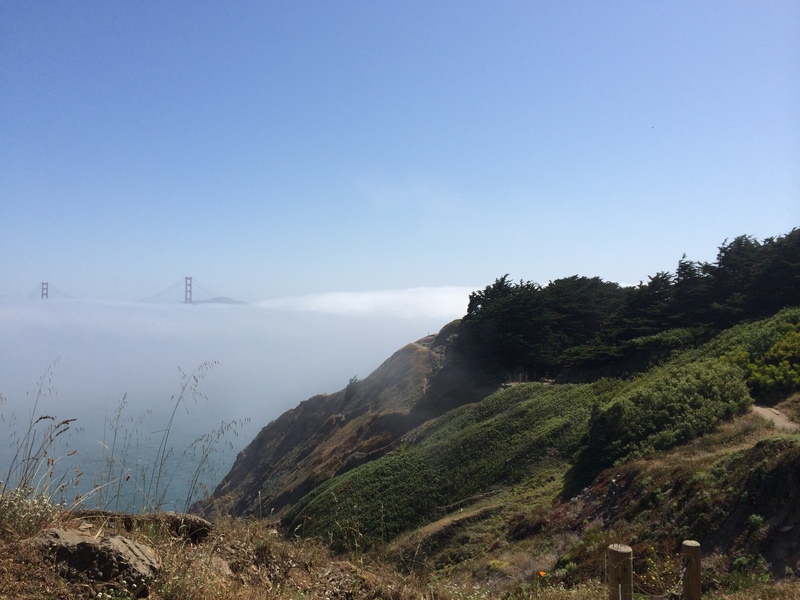 While the day heated up to over 80 degrees, Karl the Fog lingered around the bridge and the middle of the bay while the rest of the area experienced sunny skies and heat. 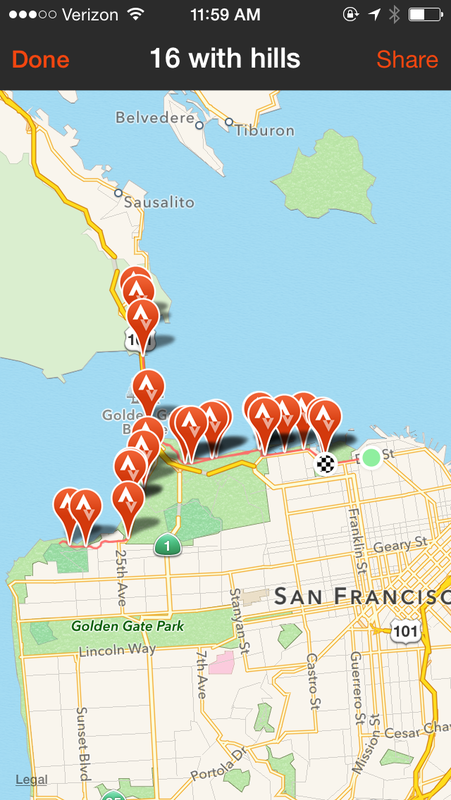 I decided to run down Marina Green to Chrissy Field, over the Golden Gate Bridge, and down Baker Beach to Land’s End. 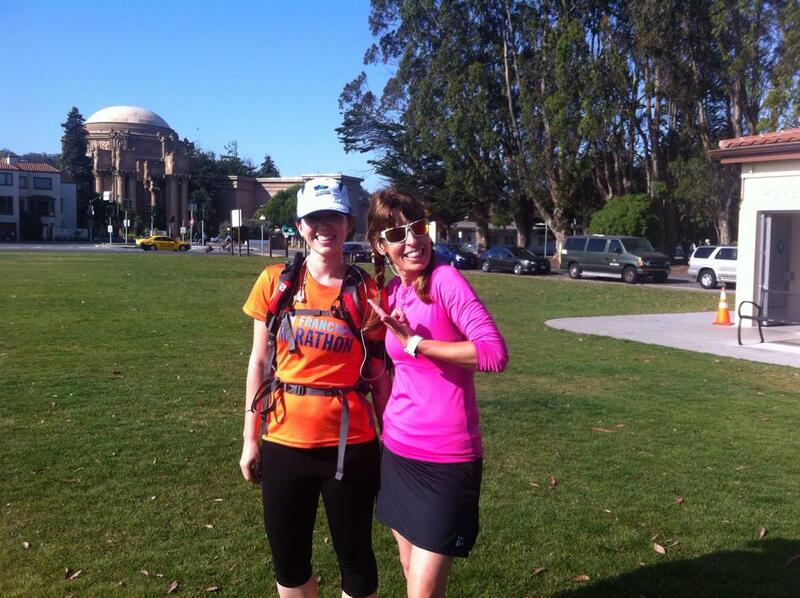 I ran into fellow TSFM Ambassador Lisa, who spotted me in my orange ambassador shirt! Running into Lisa early in the run. 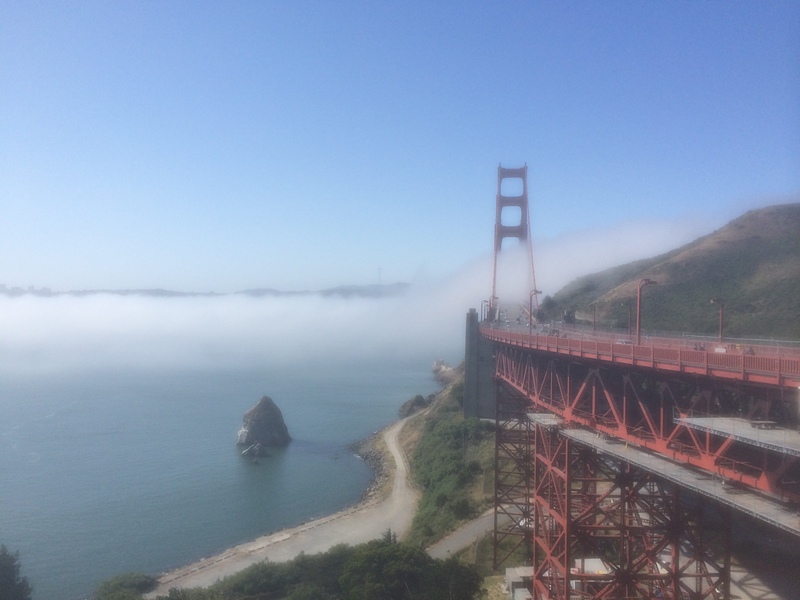 From the Vista Point on the Marin side of the bridge. The run went well for the most part. I didn’t feel as strong as I did for last week’s 15, but the increased elevation gain was probably partially responsible. As I ran back down Marina Green, hoards of tourists and locals had taken over the path, making it look more like a nightmarish Fourth of July scene instead of a random Sunday. I definitely struggled a bit and felt some muscle tightness towards the end of the run, but I managed to maintain a steady pace. I averaged just over 10 minute miles, which is perfectly acceptable for my long, slow run. Wow, awesome job!! Way to go!!! Happy Monday!!! High five on the 16 miles!! Way to go! Such a gorgeous spot to run. I haven’t been there in a few years, but I remember really enjoying lunch in Sausalito! Gorgeous views, congrats on the 16 miler! Great run! I’m shy of 16 (have gotten to 25KM which is 15.5M) so I can’t wait how your 17-miler goes. Starts getting tough, doesn’t it? Yes! It really does start to get a little grueling, I have to say. Looks like such an amazing run! SO sad I missed it! Great job though, I’m going to finally run 16 on Friday or Saturday. The marathon is getting so close! !